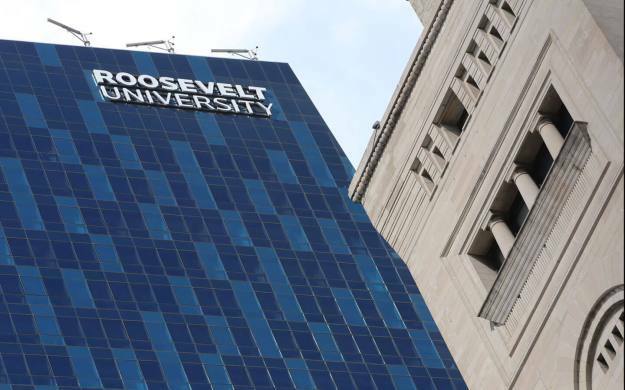 “The proliferation of charter schools, particularly in areas of declining enrollment and in proximity to schools that have closed, is adding financial stress to Chicago’s financially strapped public school system, a new report co-authored by a Roosevelt University professor shows. Released by Roosevelt Associate Professor of Sociology Stephanie Farmer on Tuesday, March 28, the report titled “Closed by Choice: The Spatial Relationship between Charter School Expansion, School Closures and Fiscal Stress in Chicago Public Schools” tracks 108 charter schools opened between 2000 and 2015 – a time when CPS was closing schools, cutting resources and reducing staff. A research team led by Farmer found that the majority of charter schools opened during that period were largely in areas where the population of school-aged children was in decline and were located in close vicinity to shuttered schools. “We were surprised to discover how much CPS has saturated charter schools in neighborhoods with declining school-age populations. We believe this decision is a strong contributing factor to the current strain on CPS’ finances,” said Farmer, who co-authored the report with sociology PhD candidates Ashley Baber from Loyola University and Chris Poulos from the University of Illinois at Chicago on behalf of the Project for Middle Class Renewal. Where did 100,000 Empty Seats Come From? Next Next post: UNO Teachers Consider Strike…how much are they paid?